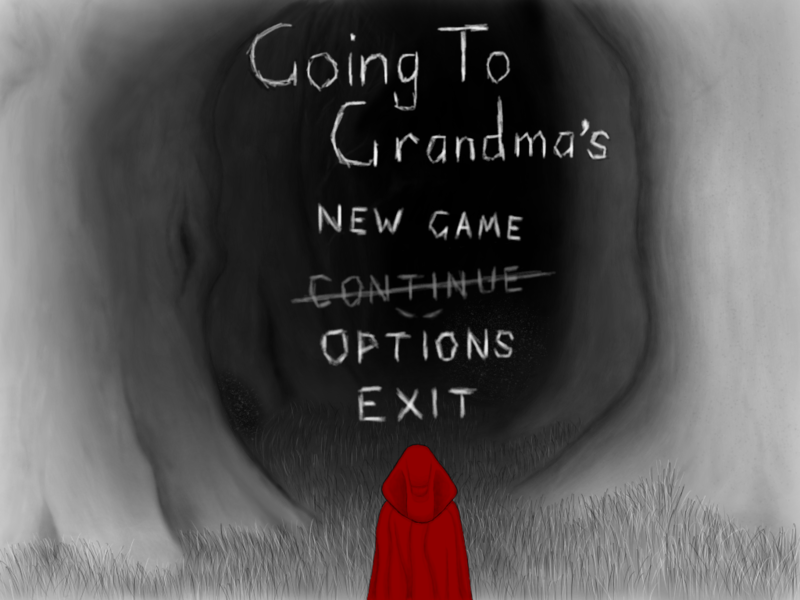 Going To Grandma's is a boardgame inspired by Red Riding-hood. 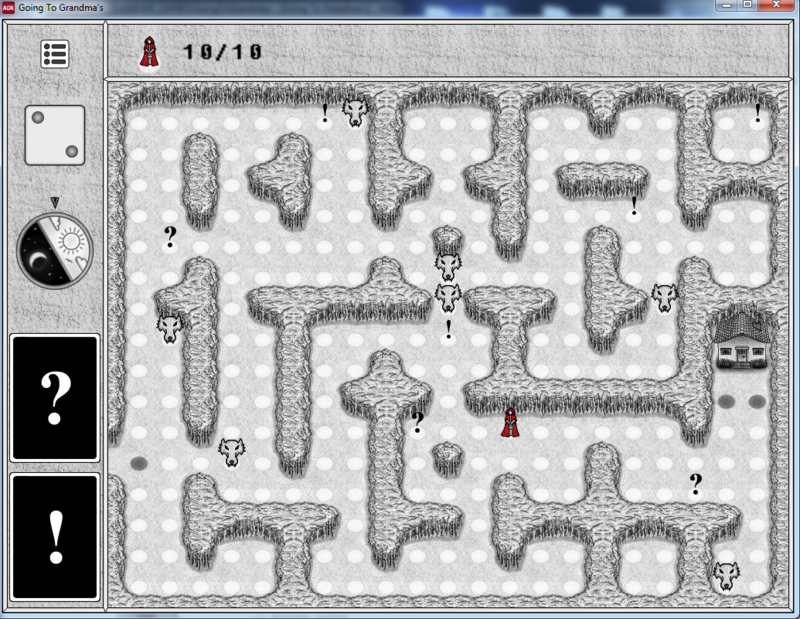 The aim of the game is to get to one of the black spaces outside Grandma's house before any other player. You can play solo if you want, just make sure you watch out for the wolves who are roaming about trying to steal your treats. If you lose all your treats, you will be sent back to the start to refill your basket. You can pick up weapons along the way to help you defend against the wolves or wild treats to refill your basket. 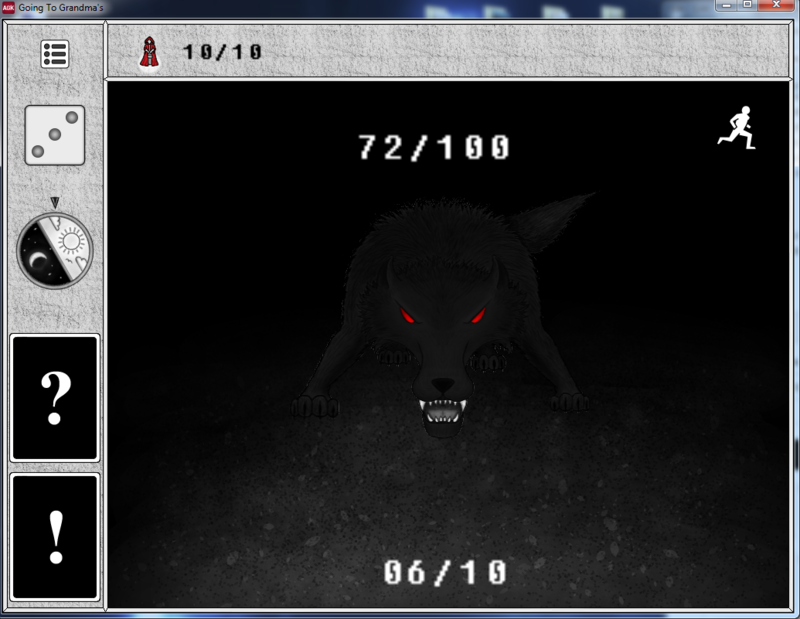 If you enter into battle with a wolf, you will need to click on the die to make your turn, however, the wolf will steal treats in return. 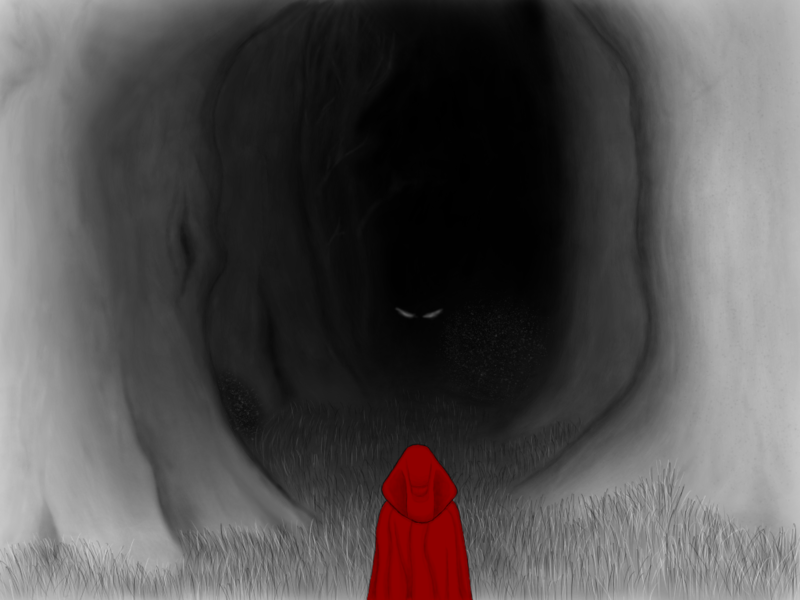 Think carefully about how you will move about the forest because at midnight, it will re-grow and change on you. This game was intended to have a black fog over the forest except for around the player, however this is my first game ever and I only started 3 weeks ago (meaning not enough time to implemenet it).